Safety and information systems are Denso's third-biggest business segment, after powertrain systems and thermal products. KARIYA, Japan -- Denso Corp., the world's No. 2 parts supplier, expects its safety technology business to surge starting in 2015, when tougher European auto safety standards take effect. The regulations will trigger global shockwaves that spur demand from Detroit to Tokyo for better pre-crash sensors, cameras, head-up displays and other active safety systems, predicts Hiroyuki Wakabayashi, a Denso senior executive director. For Denso, a Toyota Group company long focused on drivetrains and air conditioners, the shift means safety products will suddenly be one of its fastest growing businesses. "Active safety products will grow very sharply in that period and into the future," Wakabayashi said in a July 16 interview at Denso's global headquarters outside Nagoya. "The field is very competitive. We will be devoting more resources into it." The company expects its global sales of safety technology to rocket 40 percent over the next 10 years. And it plans a 30 percent increase in the number of engineers working on safety over that time to meet the demand, said Wakabayashi, the board member in charge of Denso's information and safety systems group. 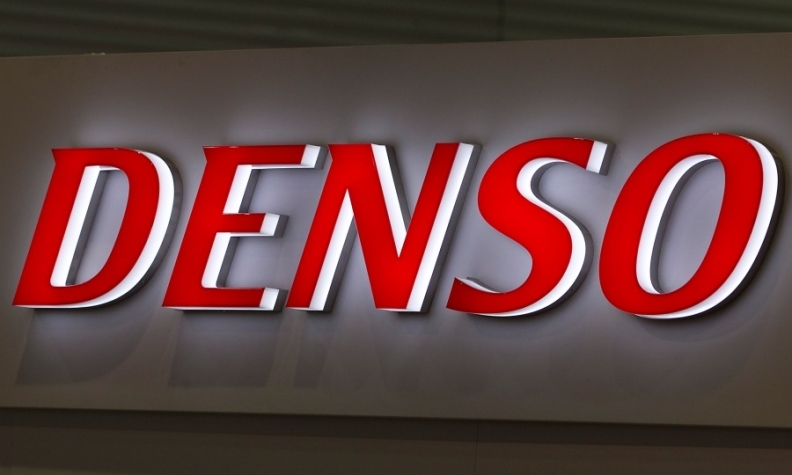 The unit accounts for 16 percent of Denso's overall revenue and booked sales of ¥576.9 billion ($6.13 billion) in the fiscal year that ended March 31, 2013. Sales grew 8 percent year-on-year. Driving the market will be stricter European Union safety requirements that take effect in 2015. The European New Car Assessment Programme rates vehicle safety and will increasingly test for crash-avoidance technologies such as autonomous braking, speed-control systems and lane-departure warnings. Cars without those features will be hard-pressed to achieve the top five-star rating. "It is a requirement," Wakabayashi said. The EU move is expected to trigger similar tightening of safety certification in the United States and Japan. That will force manufacturers to deploy the technologies globally because consumers look to a car's ratings when deciding what to buy. "This is a turning point," Wakabayashi said. "Because of this, Japanese regulations will be affected and the U.S. National Highway Traffic Safety Administration will follow suit." Sales of standard passive safety systems -- those that mitigate damage after a crash occurs -- will remain robust. That means increased sales of airbags and pop-up hoods that reduce injury to people in car-on-pedestrian accidents. But the big expansion will come from sensors that warn a driver about hazards, be they oncoming cars, careless pedestrians or his own car drifting out of its lane. Those so-called active safety systems aim to prevent a crash before it happens. Denso also forecasts big growth of head-up display systems. They project information such as vehicle speed onto the windshield so drivers can keep their eyes on the road. All of those active safety systems eventually parlay into autonomous driving systems. And Denso targets that, too. Wakabayashi said Denso plans to apply for an autonomous driving permit for road testing in the United States either this year or next. Engineers still haven't decided where they will conduct the testing, but it is likely to be Michigan or Nevada, he said. "We expect a big impact from the trend toward automated driving in North America," Wakabayashi said. "Doing so will be very effective in the research of safety-related projects." Now, active safety technologies and the sensors that enable them are the reserve of premium or near-premium vehicles. But they are quickly migrating into mass-market offerings. In December, Denso began supplying a laser radar collision-avoidance system for the Daihatsu Move, a Japan-market compact. It features a simplified laser beam generator and integrates several signal processing boards into one to save space. Also last year, it introduced a long-range, wide-angle millimeter-wave radar for a crash warning and adaptive cruise control system in the redesigned Mazda6 mid-sized sedan. Denso improved the scanning performance of the system by reconfiguring the electronic circuits to cut down on electromagnetic interference that disrupts radar reception. Yet when it comes to sensors, there is no one-size-fits-all solution. The industry generally deploys several kinds of sensors, each with its strengths and weaknesses. Millimeter-wave radar is good at long-range detection and not easily disrupted by bad conditions such as rain or fog. Laser radar has a shorter range but is better at judging shapes and symbols. But it is weak in inclement weather. Optical or camera-based sensors are best at discerning the shapes of pedestrians from trees or decoding roadside signs. But they, too, have range and weather limitations. Premium cars typically employ a mixture of sensors to cover the bases. But that keeps cost too high for mainstream use. Denso, like the industry at large, is still groping for the best mix and a breakthrough to reduce the number of sensors. "For the time being we think we can cover all requirements with these three sensors," Wakabayashi said. "But it is difficult for us to decide what combination is best." Head-up displays also will proliferate, Wakabayashi predicts. Last October Denso introduced what it calls the world's largest projection-size head-up display, for sale around 2015. Worldwide sales of cars equipped with head-up displays will rise to 9.1 million units in 2020, from 1.2 million in 2012, IHS Automotive forecast in a July 1 report. That represents about 9 percent of all cars sold in 2020, from just 2 percent last year. Ben Scott, an IHS analyst, called head-up systems "the optimal display technology for cars." Today, they are mostly used to display speed or warnings about tire pressure or oil level. But in the future, Wakabayashi said, they will employ "augmented reality" to project real-time GPS-guided directions onto the landscape. Head-up may also point out roadside dangers or allow for safer interaction with onboard entertainment systems. Low-cost pop-up displays have the greatest potential for widespread use, he said. Instead of projecting an image onto the windshield, those systems trigger a small pop-up warning from the dashboard between the steering wheel and windshield. "It's not big right now, but it will grow," Wakabayashi said. "Head-up has great impact on safety and driver confidence. Manufacturers and consumers recognize its advantages."